Throughout most of the 20th century it was home to one of the world's most unique airports. Now the Kai Tak area of Hong Kong is awaiting redevelopment into the metropolis' main leisure hub. As many as 28 hectares are to be occuppied by a mixed development intended to encourage physical activity among citizens. 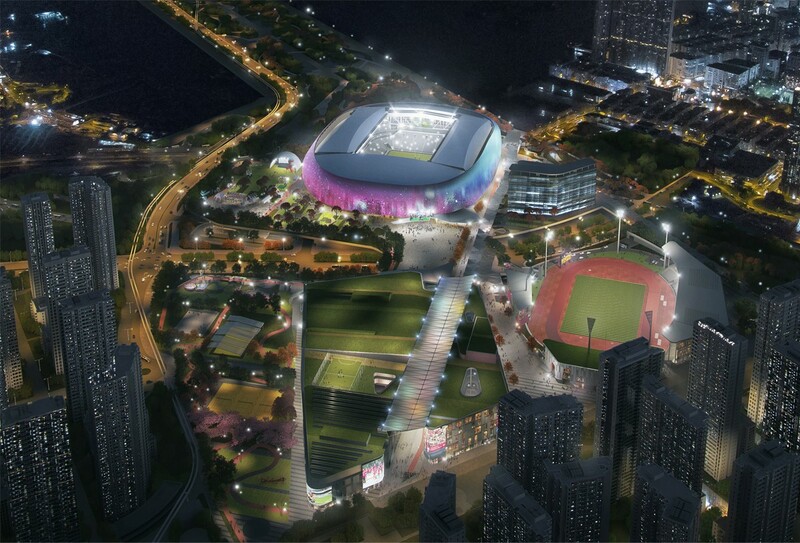 Its key element is the new national stadium for rugby and football fans, which could house as many as 50,000 people. Designed as almost entirely opaque and robust, the venue will have a soundproof retractable roof. This way residents of the area should not be affected significantly during large events, be it sport or concerts. 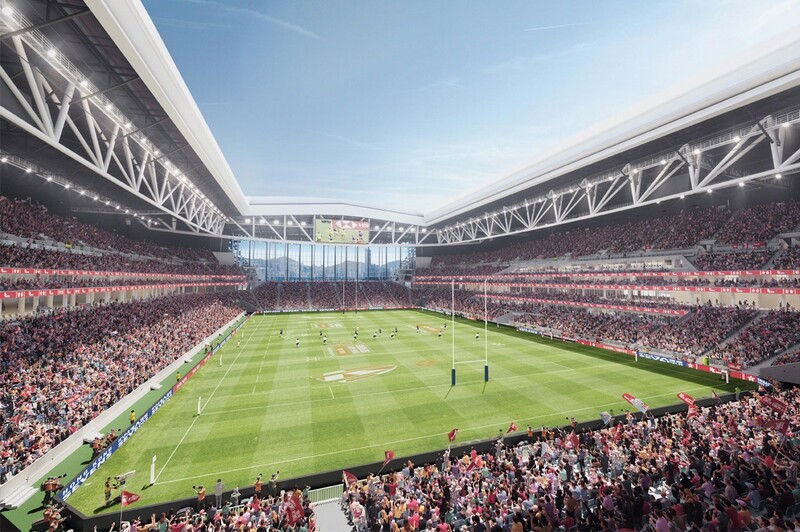 Also depending on event, the stadium will have curtains allowing to reconfigure its interior into smaller parts. 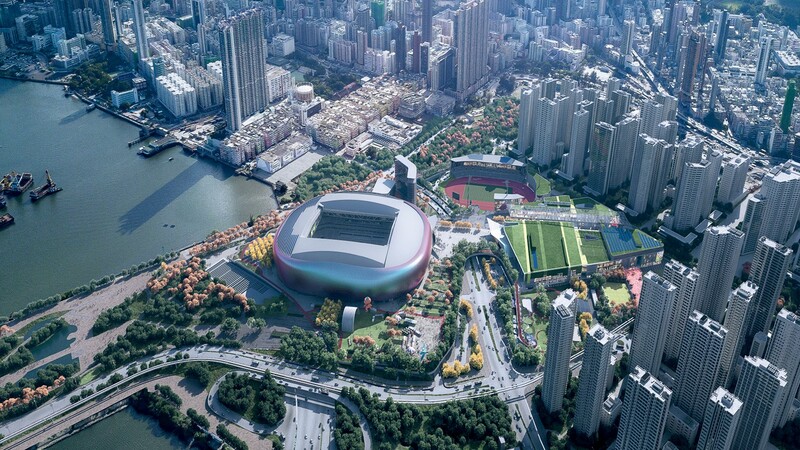 Externally the stadium should shimmer in sunlight to mimic the “Pearl of the Orient” nickname of Hong Kong. Inside a very “American approach” to auditorium layout can be seen. While most spectators will be spread between two main tiers of seating, the south stand will be lower and provide a vast window to the city. 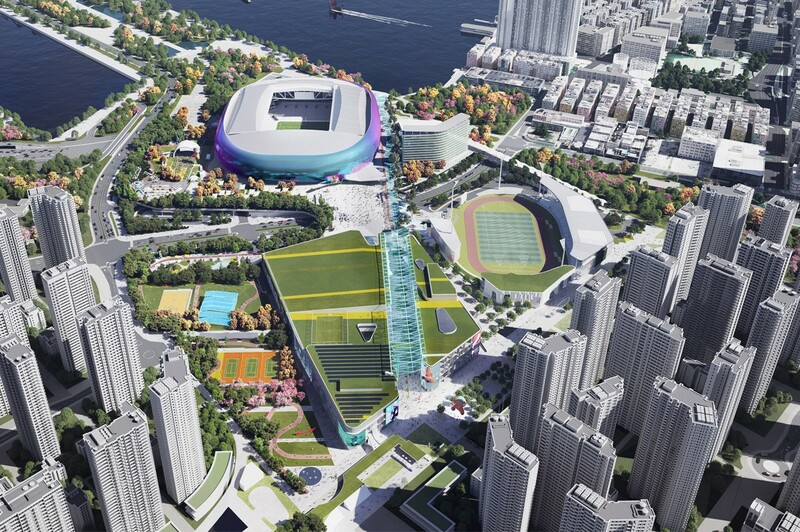 But unlike in many US stadia, here the opening will not give a glimpse of the downtown skyscrapers, rather an overview of the Kowloon Bay. 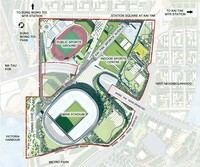 The stadium will be connected with other areas through a covered main avenue. 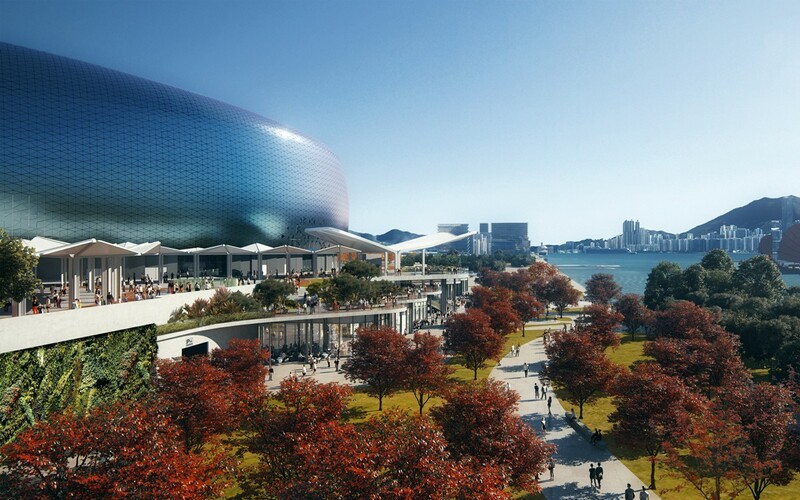 Large hotel will sit on its west side, 10,000-seat indoor arena on the north, while a second stadium on the north-west. 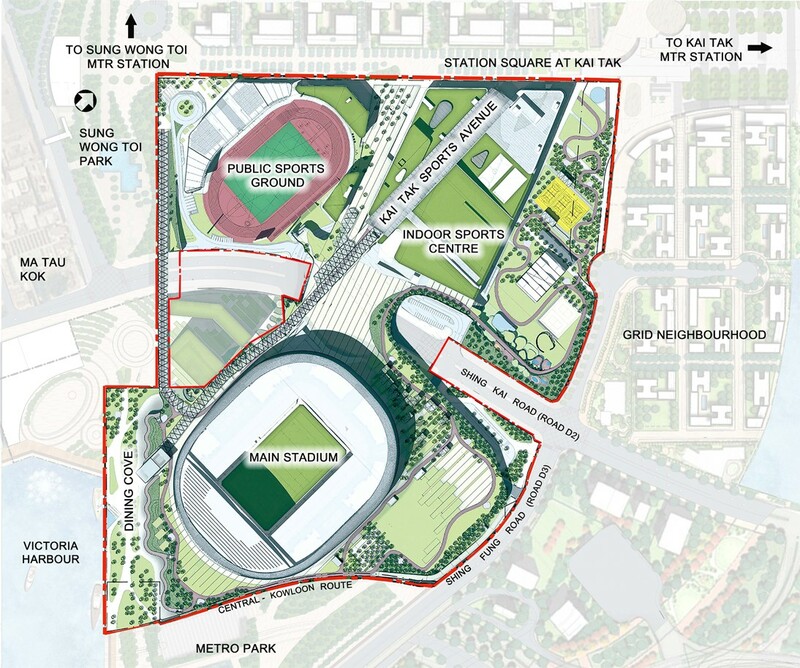 The latter will be a public ground for athletics and other activities, possible to use free of charge and able to hold 5,000 seated spectators for events. Aside of these main facilities, numerous commercial uses will be created, including retail and a spa. 850 parking places will be available, while the complex will have extensive public transport connections and electric vehicle charging stations. In fact, numerous environmentally friendly features will be included, like photovoltaic panels on the roofs, greening, vertical gardens, etc. 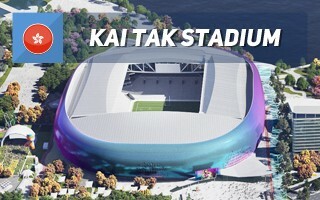 The entirety is commissioned to Kai Tak Sports Park Ltd, a consortium which is charged with design, construction and 20 years of operation of the entire complex. Taxpayers will foot the immense bill of HK$29.9 billion (US$3.8 billion), while the operator is expected to share 3% of gross income and pay a total of HK$1.7 billion (US$216m) throughout the 25-year period. Hong Kong is following Singapore with the creation of a major leisure hub within its crucial districts. 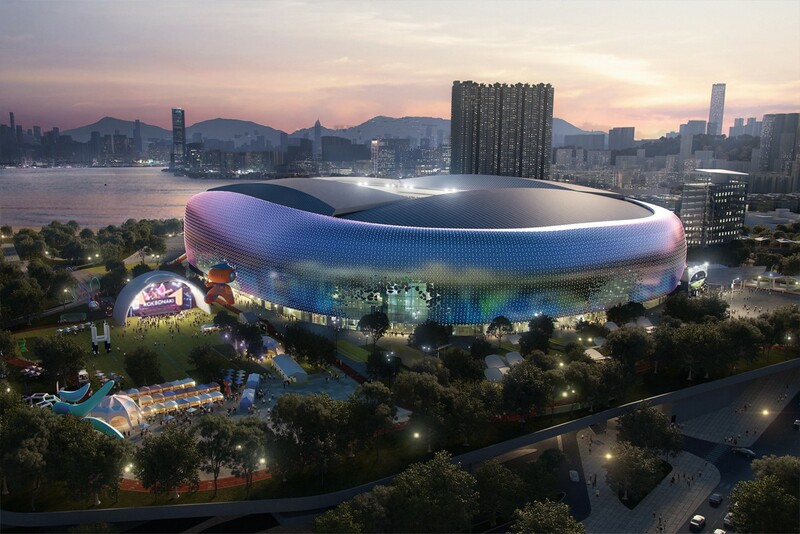 Former Kai Tak airport will soon be replaced by this shimmering stadium and much more.